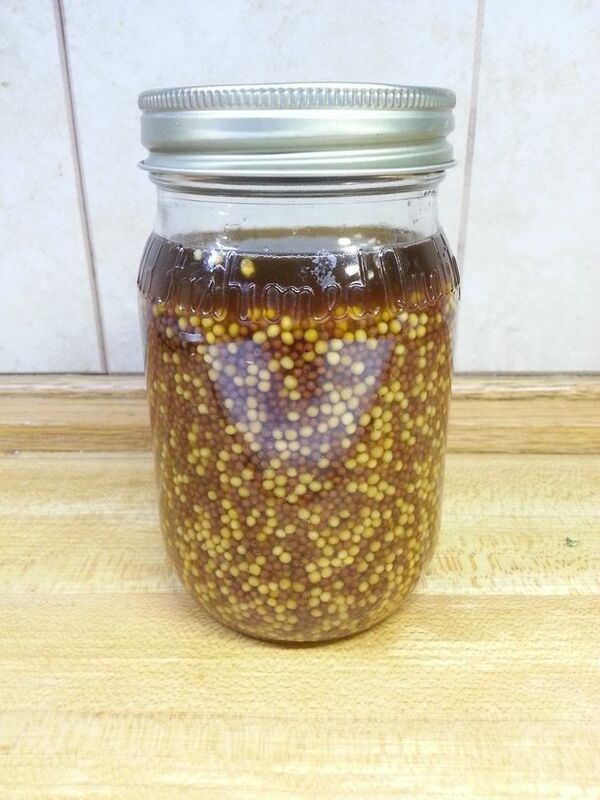 Mix all ingredients in a small plastic storage container or glass jar and allow to sit at room temperature for two days. Shake container occasionally. Place mixture in blender or food processor and pulse on and off for about a minute until desired consistency has been reached. Taste and add more sweetness or smoke flavor as desired. Refrigerate. This mustard would typically be described as “hot” mustard, because of its bold, forward. 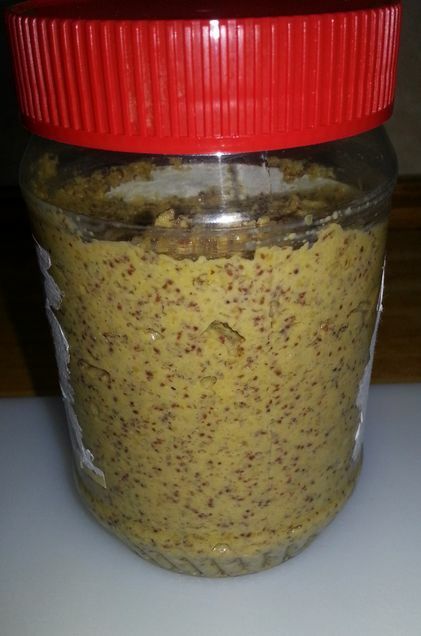 spicy flavor, but it contains no turmeric, so it is a different kind of “spicy” than traditional yellow mustards. After it is all blenderized, take a small prep bowl and stir in other flavors that you want to experiment with. You will be surprised as to the variety of flavors you can coax from this simple recipe. Mixed about 50/50 with a good hearty mayo, this makes a great sandwich spread too. Adding the “liquid smoke” really punches up the flavor and I suggest you give it a try if you decide to make this. 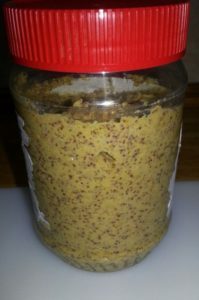 I bought my light and dark mustard seeds at the local “Sprouts” supermarket in the bulk aisle and so it was remarkably cheap to make. I used a Smoked Porter instead of Guinness this time, and don’t see much difference in flavor. Also, the 1/3 cup amount of the beer may be a little conservative, as it makes for a very stiff mustard consistency in the end. You could go ½ cup and I don’t think this would have any negative effects, and make the product more spreadable. Lastly, I have been experimenting with the different sweeteners in little batches as I go to use the mustard, and I find that each choice makes a noticeable and significant difference. Of course, the honey makes it taste like a commercial “honey mustard” although this has a much more robust base, and the honey isn’t as cloying as in the commercial preparations. Using black strap molasses, makes this an entirely different product, and may not suit all tastes. 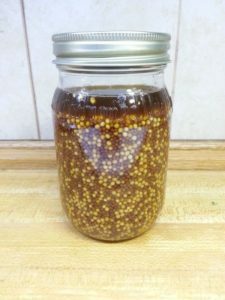 I mix about a tablespoon of the base mustard and the desired sweetener in a tiny prep bowl each time I try a variation, so if I don’t like it, I haven’t ruined the whole batch. Enjoy! « Steel Cut and Kañiwa Too!